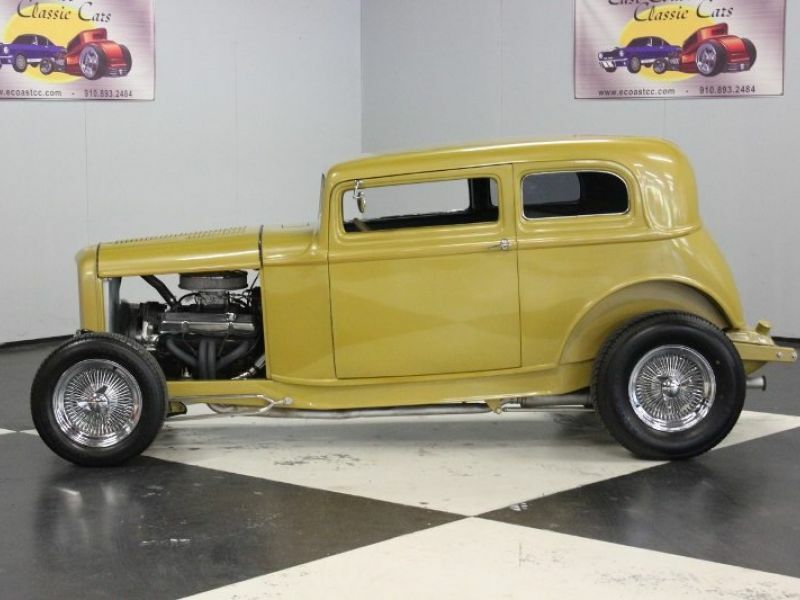 1932 Ford Vicky for sale - Classic car ad from CollectionCar.com. 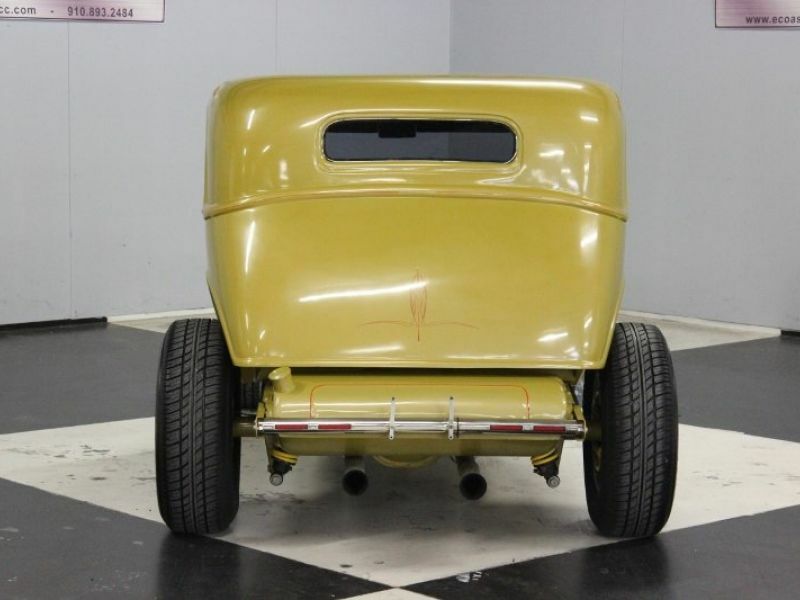 This Fiberglass body is painted Gold with Red Pinstripe. The hood top with Louvers is steel. There are chrome door handles, steel tank, chrome peep mirrors, small head lights, stainless spreader bar in front, rear spreader bar with LED Brake lights, power front disc brakes, Billet license plate holder, cowl vent, 9" Ford rear end with drum brakes and coilovers, rack & pinion steering, dropped front axle, chrome shocks, chrome wire rims, tires are like new. 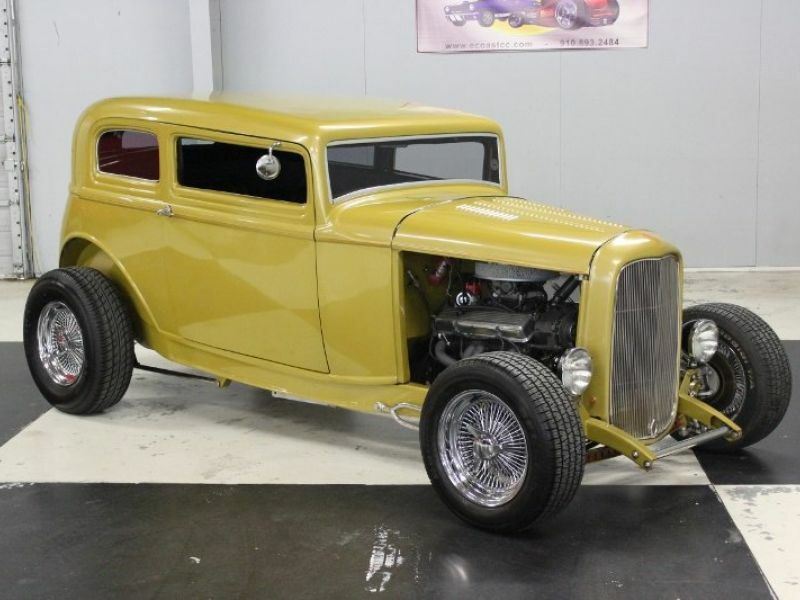 Stainless Radius rods, dual exhaust, Steel '32 Ford grill shell, stainless 32 grill. Looks good. 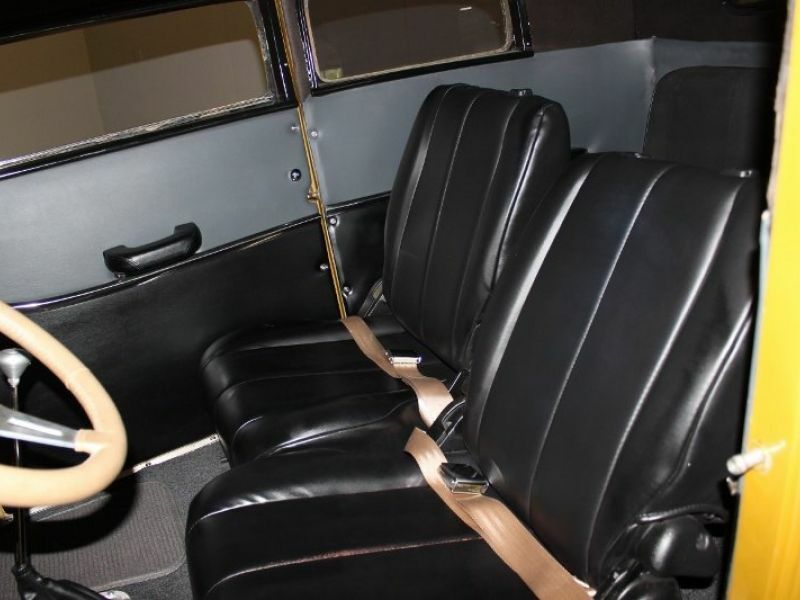 There interior is Black vinyl on bucket seats in front and a back seat done in black material and folds forward. Black and Gray door and side panels with custom chrome moldings. 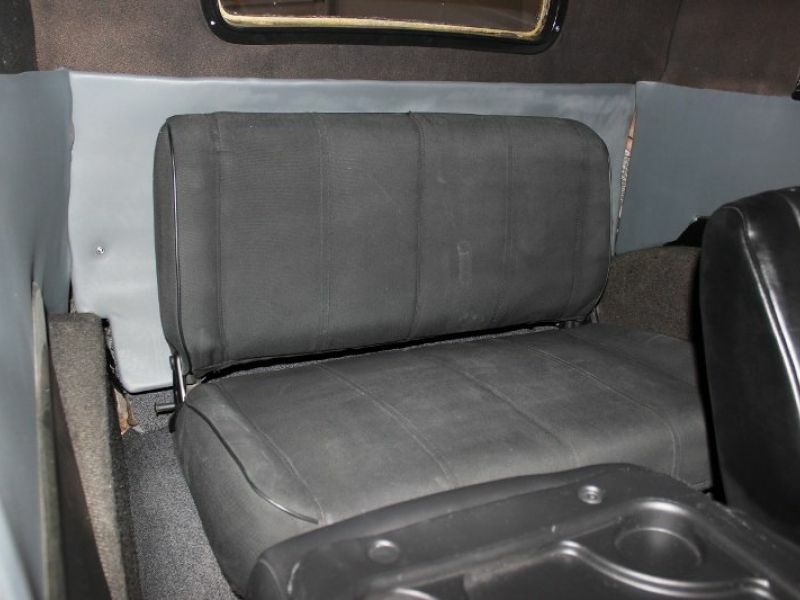 Black arm rest, Black material head liner, gray carpet and kick panels, gray floor mats carpeted and all like new. Chrome tilt column with Billit drop and Tach mounted in it. 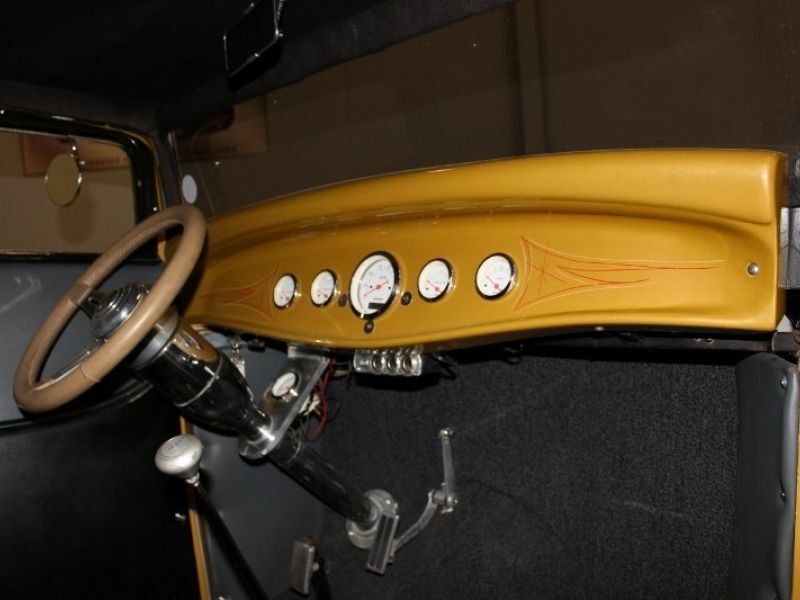 Dolphin white face gauges, Billet steering wheel with tan wrap. Lokar shifter mounted in floor. 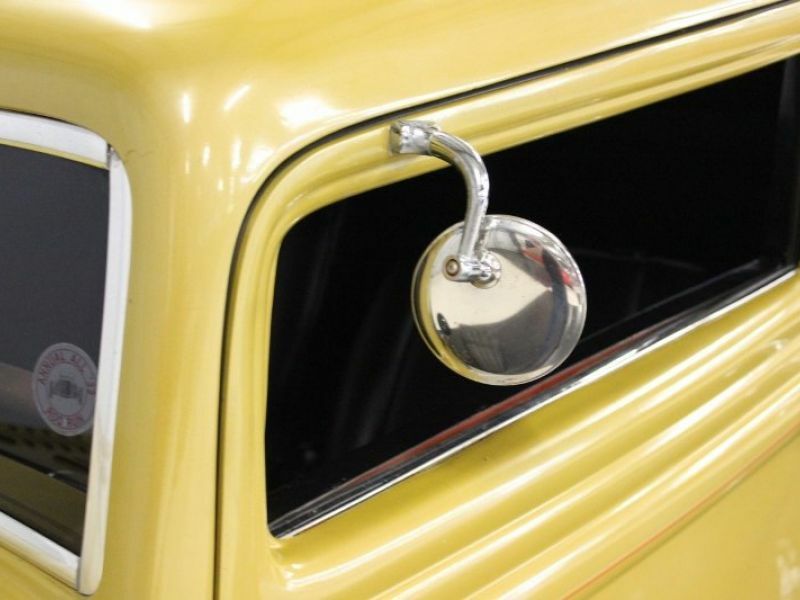 Chrome rear view mirror. 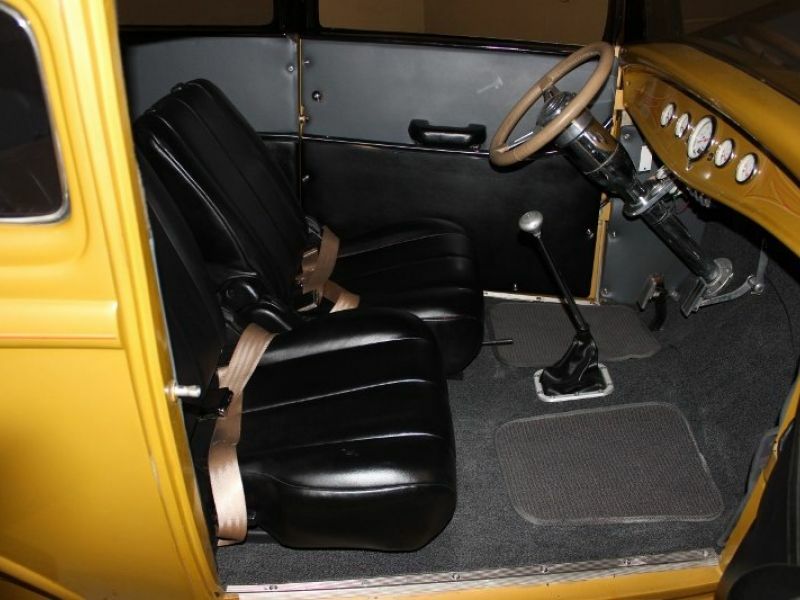 Lokar gas pedal and brake pedal, power windows. Nice inside. 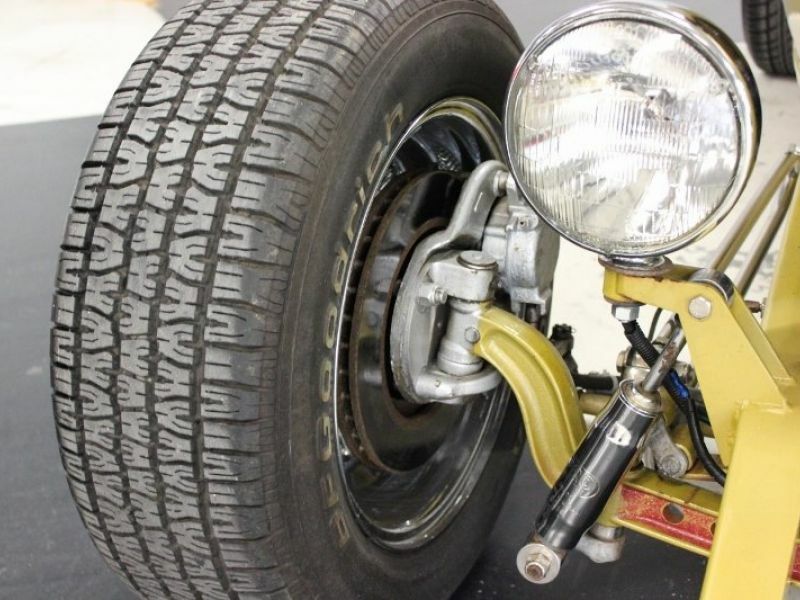 Powered by a 350 engine with double hump heads. 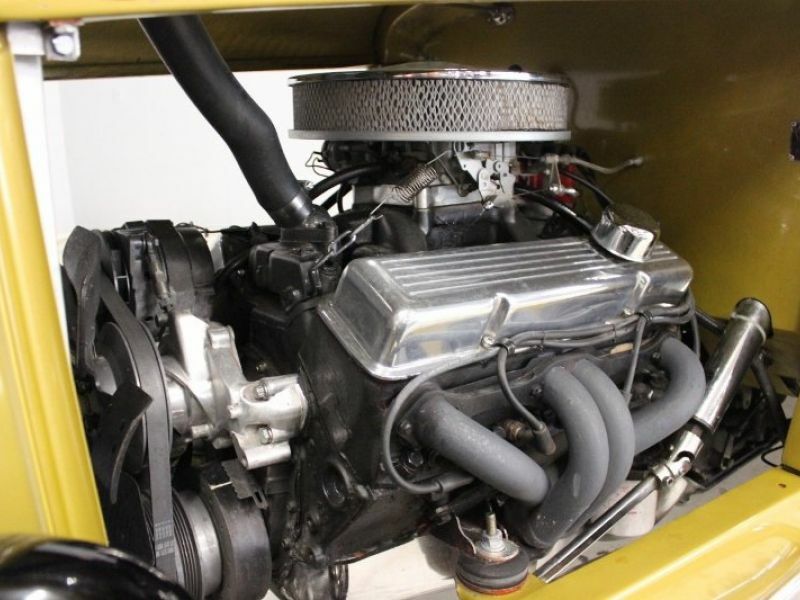 700 R4 transmission, aluminum radiator, Edelbrock intake, Edelbrock carb, Billet valve covers, chrome air cleaner, aluminum water pump, Hugger block headers, chrome oil dip stick, Lokar transmission dip stick, chrome oil pan, chrome dust cover. Runs good! Visit our site at www.ecoastcc.com for more info.